Just ask to members if they are also bikers and what are they riding, or what they owned before. I actually have a Yam FJ 1200 and a Suz 750 GSXF with a "R" engine. Waiting for better days to ride again. Often go to see hillclimb races in the Alps. Went on TT in 2012. I have a soft spot for the Dream as it is 24 years old, has done way over 110,000 km and when it "breaks down" even I can troubleshoot it. When it doesn't start, it either ran out of gas, or you change the spark plug. At around 95,000 kms and more than 20 years of loyal service it started to use a bit of engine oil and I went to the dealer and asked if we should overhaul the engine? 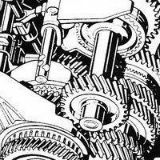 You know, take the head off, change piston rings, flatten the head, change the gasket, to give the old bird a bit of a second youth. "No", was the answer, a few seals and O-rings and it was like new again. I was almost disappointed. The Dream has a rider/handling advantage as well. The Spacy-i has better storage (helmet fits under the saddle), mileage, automatic but in terms of handling there's nothing better than to have the bike "between your legs" instead of the "throne-seat"position of the scooter-type Spacy-i. 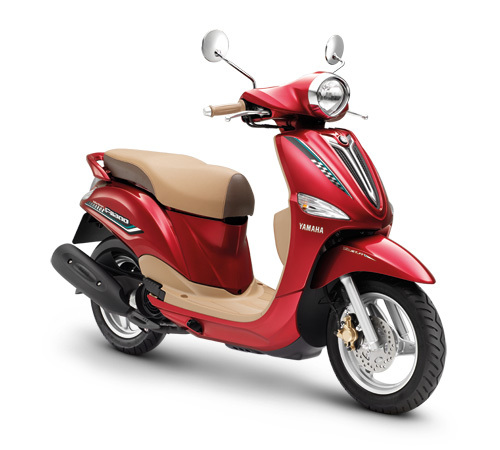 I have to say I love the Honda Dream, I completely fail to understand why in Europe there are no mopeds with bigger wheels? I enjoyed all Hondas (also the older CUB and so on) in Asia a lot, would actually love to get one old CUB 50 for me here. will get another bike one day soon i like the pocket rocket 400's from the 90s although they are getting rare! mike.foxtrot wrote: I have to say I love the Honda Dream, I completely fail to understand why in Europe there are no mopeds with bigger wheels? I enjoyed all Hondas (also the older CUB and so on) in Asia a lot, would actually love to get one old CUB 50 for me here. Quite tasteful in my opinion. Okay, thanks for the pictures, nice little moppeds, well done for Bangkok. Honda is a very great motorcycle builder, had some models years ago, CB500FOUR and CB900F BOL D 'OR. Yam FZR600, very fast and light bike, good choice. Suzy has gone, with a brand new white gown. And now may I present my recently buyed favorit, the KAWASAKI GPZ 1000 RX 1986. And still remains the travel bike. Bought at an auction for repossessed bikes (from hire-purchase customers). 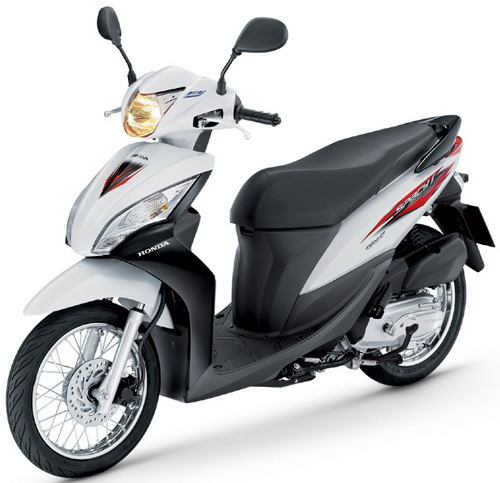 14 months old, less than half the new price; Yamaha Filano (110 cc). Still, can't beat the Dream. 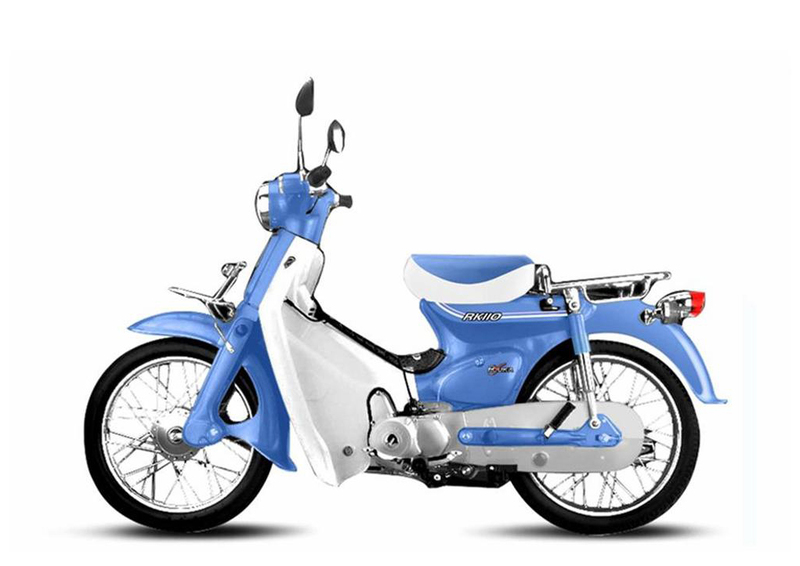 The fine look on yours moped is given by the wired wheels and the sweet colors. I think this image-link works now (see my previous post); it's a Yamaha Filano 110 cc. alfa east wrote: I think this image-link works now (see my previous post); it's a Yamaha Filano 110 cc. Yes it works fine, it's a very pretty bike . The VIN says it's a R100 S (which had a fork-mounted bikini fairing), but my uncle had an RT fairing put on to it. Sadly he deceased, so I got the Bike. The first thing I did was remove the fairing, but I will put it back on as it's just more comfortable to ride with than naked. These are the pictures when I bought it, completely stock. Changes I made to it: complete Yoshimura exhaust with headers and muffler, K&N filter in stock airbox and carburettor rejetting (I will yet have to do a dyno-run, but I guess that the modifications brought me around 3-5PS. You own two of the main machines in bike history. I rode on the BMW 100 RT, it's a good bike. In fact it's one of the best due to the twin schocks absorbers that made a bery stable bike. I rode on R65s, R80rt TIC, K75, R1100gs, R65gs, the 100 was my prefered. Your Suzy is the most interesting among the 750R, the fairing is awsome and the engine is a marvel. My 750 GSXF shown on the picts up in white or blue-yellow paint was equipped with exactly the same engine instead of the previous GSXF engine and it made a tremendous bike.